Oracle to MySQL Converter is a tool to Convert, Migrate data from Oracle Database to MySQL Database or from MySQL to Oracle Database. You can convert multiple tables in one go from Oracle to MySQL or from Oracle to MySQL database. Let's you do mapping between Source & Target Table columns. This feature is very important if the Source and Target table columns are not in the same order. User can load all rows or subset of rows from source to target table by adding user define conditions. 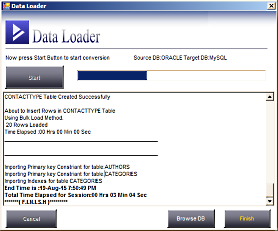 Oracle to MySQL Converter (previously known as Oracle to MySQL Loader) comes with a built in scheduler so that you can run transfer jobs at specified intervals. Now no need to run jobs repeatedly, just create a Session define the Schedule Date and Time and Oracle to MySQL Converter will automatically executes your session in the background and records the actions in a specified log file. You can later on check the log file for information. Provides a command line interface also to run migration jobs manually so that it can be easily integrated with your own application. All the sessions are stored in a repository. 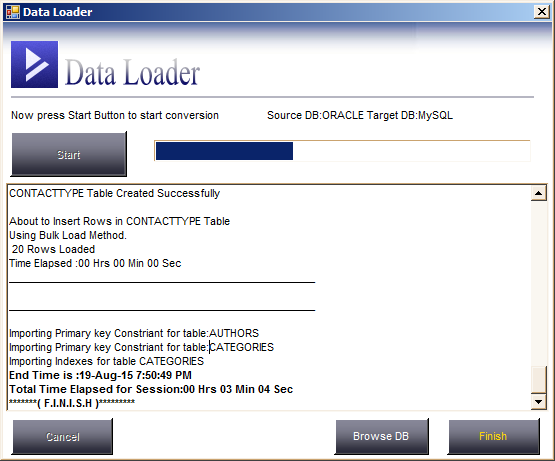 Oracle to MySQL Converter provides a user friendly interface to manage repository. Such as taking backup and/or restore repository from a previous backup. You can also create a new blank repository in case you need it. Even there is no need to install MySQL drivers or libraries. 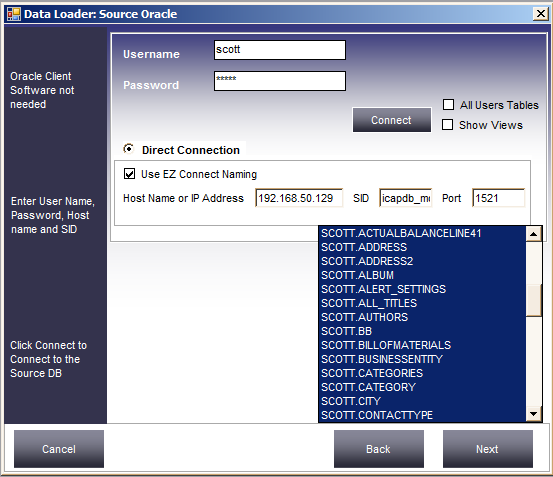 Imports all Oracle Constraints and Indexes into MySQL. Automatically transfer data between Oracle and MySQL or vice versa without any interaction. 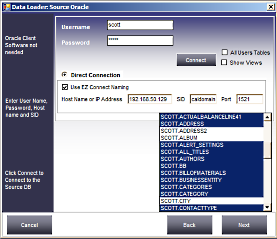 Uses Oracle and MySQL native Bulk Load feature to load millions of rows at blazing speed. Load into new or existing tables with full Column Mapping. 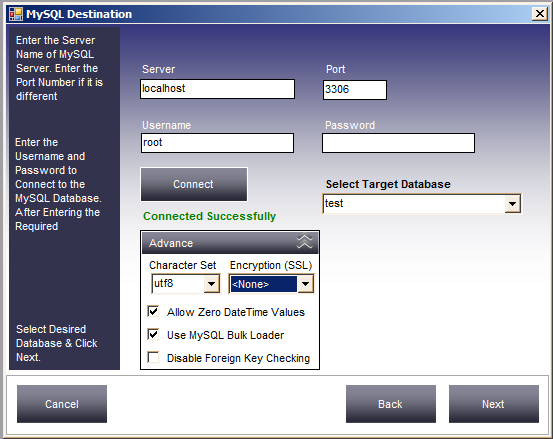 UPSERT and INSERT loading options to Synchronize Oracle and MySQL databases.